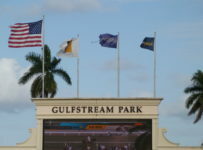 Gulfstream Park plans an 11-race card Thursday, with a first post of 1:15 PM. 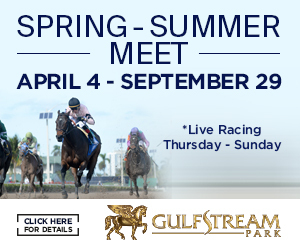 There is no racing Wednesday, due to the festivities surrounding the Florida Derby and the Post Draw at 12:00 PM Noon at G.P. 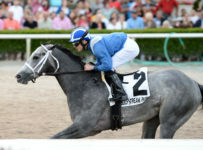 Gulfstream will then race Thursday through Sunday; the Florida Derby Day is Saturday, March 30th. We’ll update you on the field and post positions as we get closer to the race. 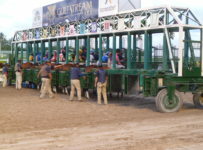 The Rainbow 6 carryover will be $2,455,349 when racing starts Thursday; the 6th race is the start of that wager; with an approx. 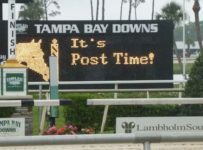 post time of 3:45 PM. 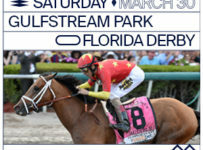 There are no stakes races planned. 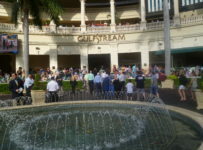 In Sunday’s racing results, 275 winners emerged on the Rainbow 6 wager, each pocketing $1,124.52 before taxes. 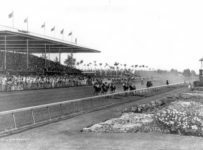 Five favorites won on the day, with 3 of them in the final 6 races. 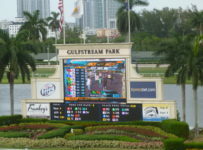 The payout was small due to the low odds winners in the 6 races ranging from 1.3:1 to 3.8:1. The Rainbow pool was half-a-million ($555,303), and total handle from all sources was $9.75 million. 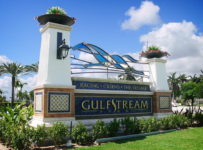 As we hinted toward over the weekend, Gulfstream announced a mandatory payout and minimum pool guarantees for the late wagers on Saturday. 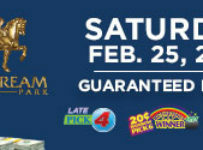 The Late Pick 4 guaranteed pool is set at $750,000, the Late Pick 5 at $500,000. 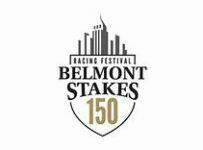 The Super Hi-5 on the last race will pay on 4 of 5 or 3 of 5 also. 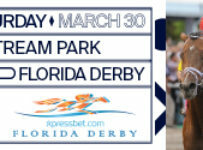 We think two long-odds wins will be needed for a single winner in the last 6 races on any race day. 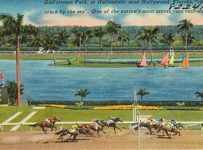 The Late Pick 4 paid $99.86 and the Late Pick 5 paid $576.20. 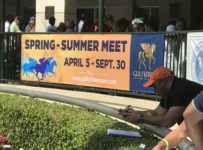 The Super Hi-5 wager will show a carryover of $6,896 in the first race with 7 or more starters Thursday.